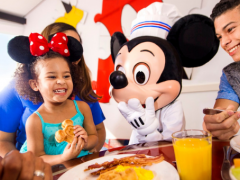 Home > Latest News > When is the Best Time to Visit New York? Lots of people consider spring to be the best time to visit New York City. This is because spring is when the city gets warmer, without being too hot. If you’re looking for things to do in New York during spring, you won’t be disappointed as there are lots of great festivals and exhibitions on at this time of year. 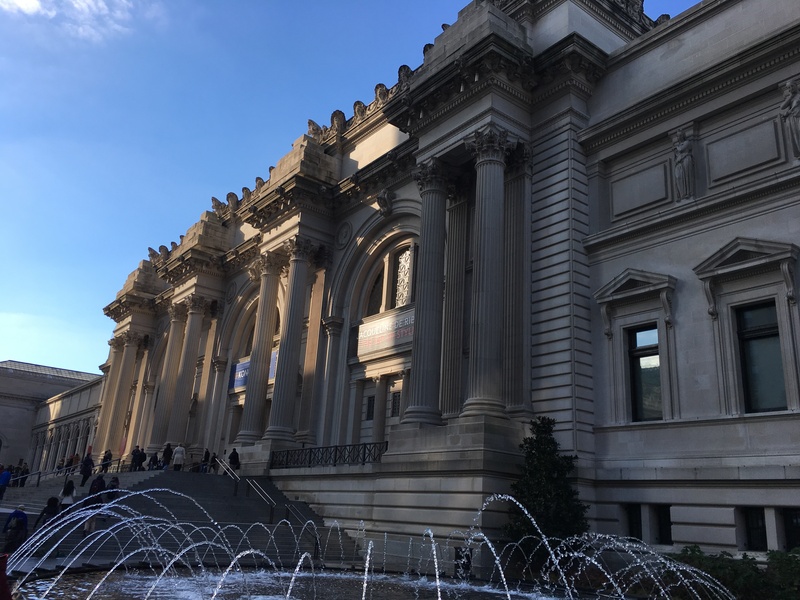 Each year, the MET Museum (Metropolitan Museum of Art) unveils a new rooftop exhibit in the spring and this is always well worth a visit. Past displays have included a recreation of the iconic Bates Motel from Psycho and an alien-inspired ‘We Come in Peace’ display. Make sure you spend some time exploring the inside of the MET Museum while you’re there too. Other exhibitions that we love are the Sakura Matsuri Cherry Blossom Festival in Brooklyn, the Tribeca Film Festival and the annual Macy’s Flower Show. There are lots of food, wine and craft beer festivals which are great fun to attend too. We’d also recommend a visit to the High Line during spring. This park is totally unique, as it’s elevated 30-feet above the ground on an abandoned railway line! You’ll get spectacular views of the city around you and the impressive New York skyline, and will be able to relax and take it all in surrounded by quirky artwork and more than 110,000 plants. Spring is also a good time to venture over to Liberty Island to see the famous Statue of Liberty. 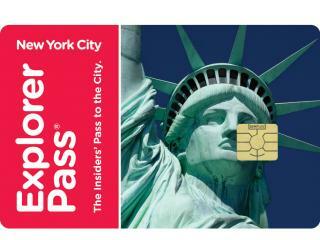 This is a classic symbol of New York and your holiday wouldn’t be complete until you’ve ticked it off your list. 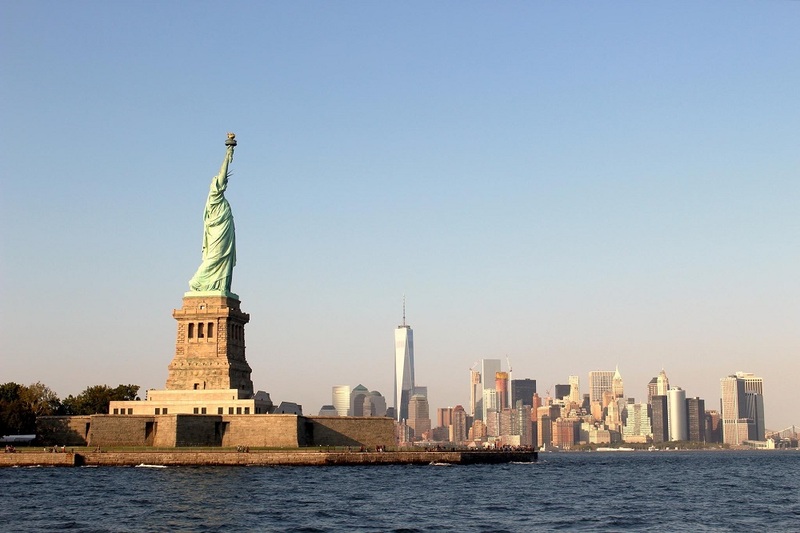 We’d recommend a Statue of Liberty and Ellis Island Tour as this is led by a knowledgeable tour guide who can tell you everything you need to know. You’ll get the chance to go right to the pedestal of the Statue of Liberty and admire the stunning city views, before heading over to Ellis Island to explore the fascinating museum. 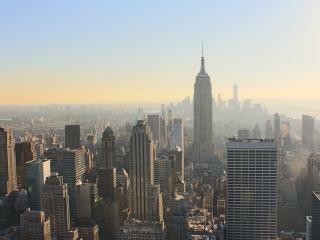 Visiting New York during the summer, gives you the chance to get out and explore the city in the sunshine. 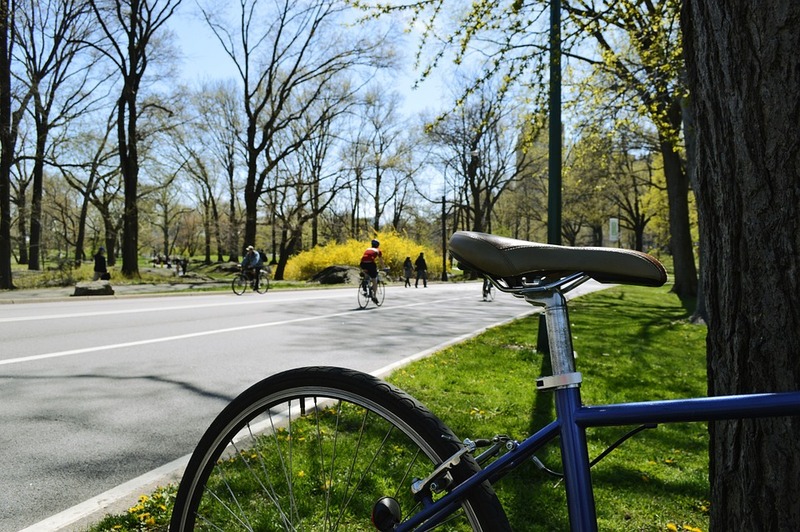 Take a bike ride through Central Park, enjoy a cocktail (or two!) at a rooftop bar or even head to the beach at Coney Island! You’ll be able to appreciate the warm weather while you take in the sights. 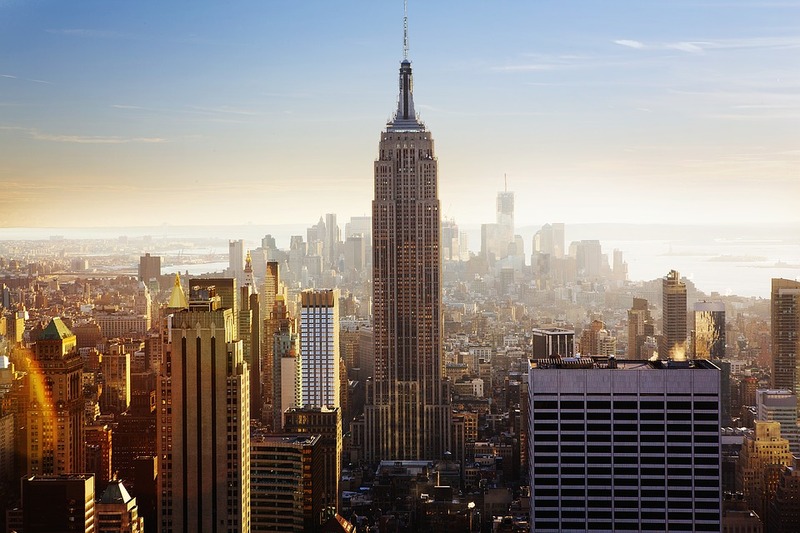 We’d also recommend a visit to the iconic Empire State Building. This is one of the most famous landmarks in the world and visiting in the summer gives you the chance to see the city in all it’s glory from more than 1,000-feet above the ground. Did you know, that each summer Central Park hosts an amazing concert series with performances from world-famous artists. The series often runs from May- August and is completely free to attend! 2018 saw stars like Sting, the Backstreet Boys, Ne-Yo and Florence & the Machine take to the stage. 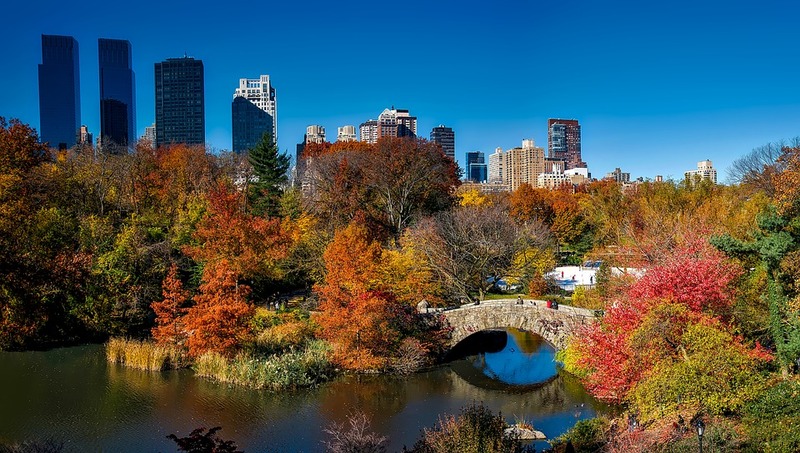 There’s also lots more to do in Central Park, from hiring a boat to visiting the Central Park Zoo which is home to more than 150 different species of animals. If you happen to be visiting New York City on 4th July, there’s plenty of fun to be had. The city really knows how to celebrate in style and the highlight has to be the Macy’s 4th of July fireworks. This annual display is an absolute must see. 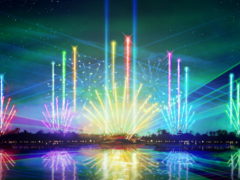 Last year’s show took more than 8,000 hours to plan and featured more than 25 different colours (including red, white and blue of course), with 3,000 pyrotechnics fired off per minute! As well as that, Kelly Clarkson, Ricky Martin and Keith Urban performed some of their classic hits. One of our favourite things to do in New York City in the autumn, is take a walk through Central Park. This is something worth doing at any time of year, but the crisp, colourful autumn leaves make this a picture perfect time to visit. You might even want to experience one of the popular horse and carriage rides while you’re there. 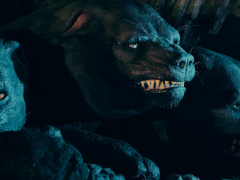 If you’re spending Halloween in NYC, there’s lots to do. Make sure you check out the impressive pumpkin display outside the Rockefeller Centre, witness the Empire State Building illuminated with orange lights or join in the fun at the annual Village Halloween Parade in Greenwich Village, which features hundreds of dancers, puppets and more than 50 bands representing music from all over the world. The weather in New York starts to get colder in the autumn months, but one way to keep yourself warm when the temperature drops in the evening, is to spend the night inside at the theatre. Watching a Broadway show is a truly bucket list-worthy experience and there’s so much to choose from. 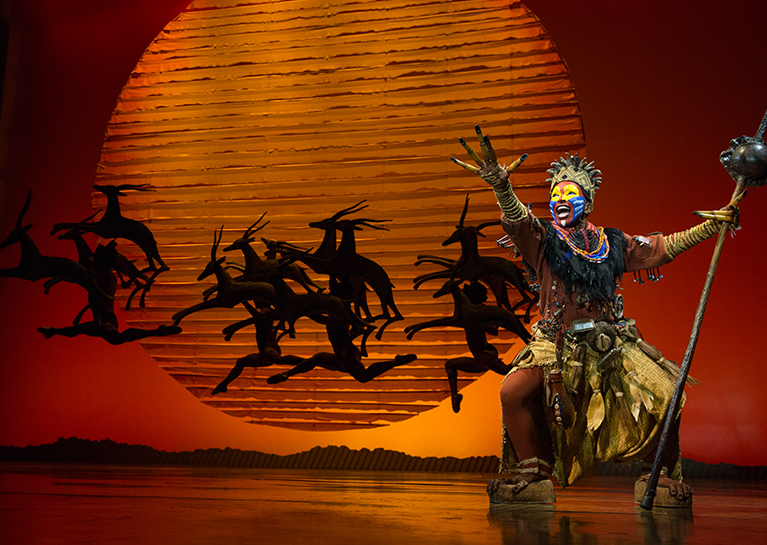 Whether it’s a classic show like Wicked, The Lion King or Phantom of the Opera, or one of the new Broadway shows like Frozen, Pretty Woman, Mean Girls or Aladdin, there’s something for everyone! 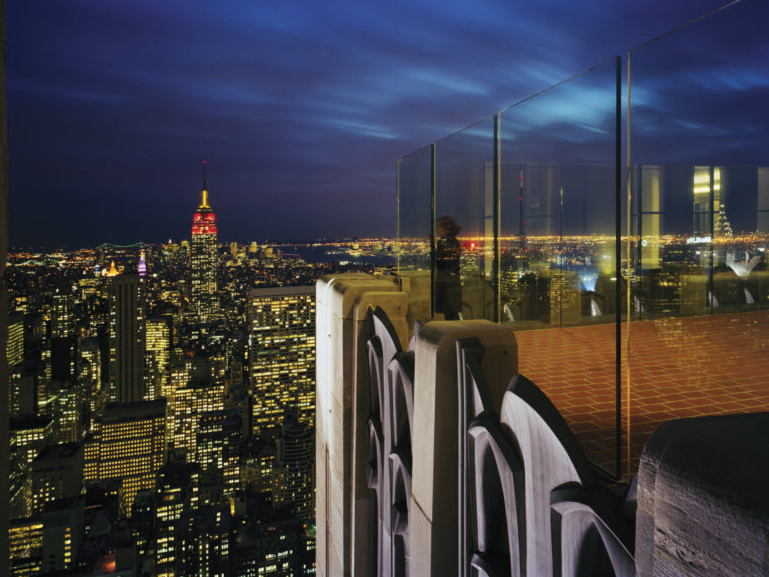 Finish off a day of exploring New York City on foot, with a trip to the Top of the Rock, where you can see the city from up above. You’ll be able to admire the twinkling lights as night falls and the city comes to life around you. There’s also a bar on the 65th floor where you can enjoy a drink (or two!) and make a toast to your holiday. Winter is one of our favourite times to visit New York City, as the city becomes even more magical during the festive season. It seems to come to life, with glittering lights, Christmas cheer and sometimes even a layer of snow! If you’re going to New York during the winter, make sure a visit to the famous Rockefeller tree is at the top of your list. 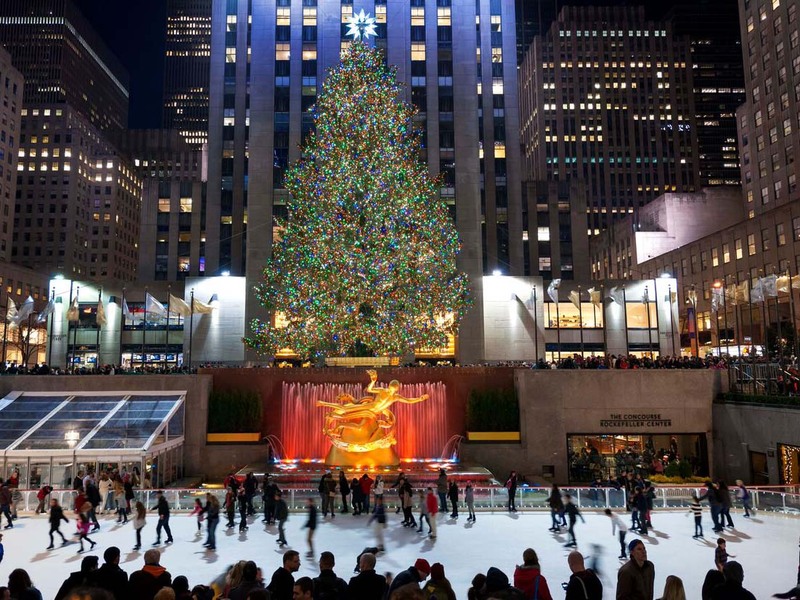 This stunning tree towers above the Rockefeller ice skating rink and is a New York City tradition that has been running for more than 80 years. You definitely won’t want to miss the chance to see it, so make sure you stop by and take a few pictures. With more than 50,000 sparkling lights and a huge Swarovski star on top, this is definitely an Instagram-worthy Christmas tree! Ice Skating is another great way to have some festive fun in NYC. Whether you choose to try out the Rink at the Rockefeller Centre or put your skates on at the Wollman Rink in Central Park, you’ll be able to enjoy an incredible experience that you’ll never forget. Admire the towering skyscrapers all around, as you skate around the rink soaking up the Christmas spirit. 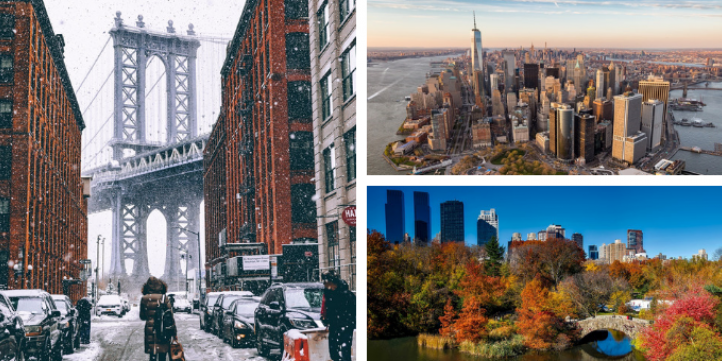 New York City is a shopper’s paradise and if you’re visiting during winter, your trip wouldn’t be complete without a bit of Christmas shopping. Shoppers can find lots of fantastic bargains around Black Friday (the last Friday of November) as well as at outlets like Woodbury Common. This is where you’ll find shoes, clothes, toys and jewellery from big name brands at incredibly discounted prices. You can get a bus to Woodbury Common, so you won’t have to worry about transport. 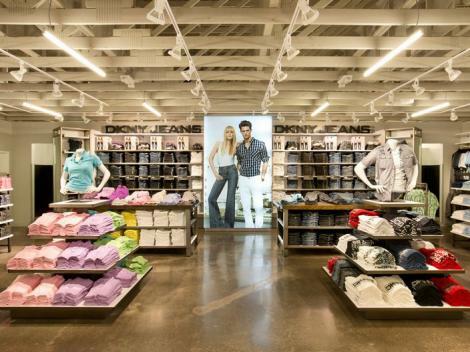 Just sit back, relax and get ready for some serious shopping. It’s also worth exploring the likes of fifth avenue, to admire the spectacular shop window displays. 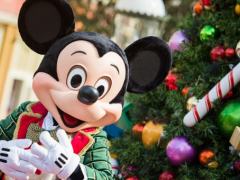 A New York winter break gives you the chance to see the city in a whole new light and make the most of the festive activities on offer, like the world-famous Macy’s Christmas Parade! If you’re visiting before Christmas don’t worry, you might be able to catch the Macy’s Thanksgiving Day Parade instead. Ready to start planning your holiday? 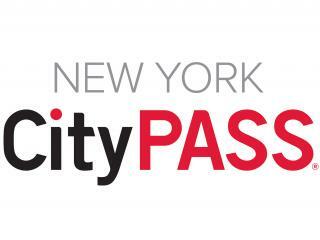 Click here, to view our full range of amazing New York City attractions. comment Take an early ferry to Liberty Island and arrive often before the crowds!